Whether you are new to Reveal or a veteran, some of the most frequent questions we get have to do with carbohydrates. Can I eat them? Which carbs are okay? Should I try Keto? How many carbs can I eat? The unscientific answer – That can really depend on how much body fat you have. Here’s how I like to think about carbs. All carbs are turned into sugar. That sugar has two options, used immediately as energy, or stored as energy (FAT). The type of carb will determine how fast and how much sugar is produced. Think of your liver and pancreas as small sugar and insulin filled bowls with a small hole in the bottom of them. The small hole in the liver bowl slowly drains into your body and is used as energy while the small hole in the insulin bowl drains out to maintain a “normal” level of sugar. If you pour too much sugar or insulin into the bowls it will fill over the top and spill over….anything that spills over is converted to fat. Again, it is more complicated than that but picturing bowls filling up makes it easier. Proteins and fats pour slower into the bowls unlike Cheesy Poofs, chips, potatoes, candy, etc… those are a fire hose into the bowls. What is the main function of your digestive system? To pull out the vitamins, minerals, proteins and energy as needed by the body. 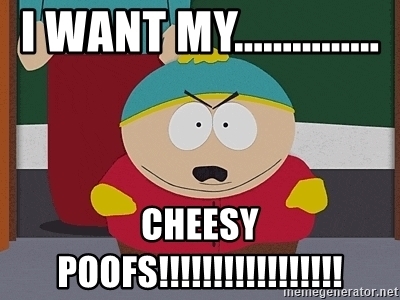 Tell me, when in the hundreds of thousands of years of humans walking the planet has the body ever needed Cheesy Poofs to live? That’s why when you eat a bag of chips, you are still hungry. Your body is craving nutrients, not just “food”. Protein builds and maintains our muscles and organs. Fat can be used as energy, transports vitamins, maintains proper nerve and brain function and helps regulate hormones. Carbohydrates…have made America fat. I’m not saying all carbs are bad, the problem is that they all get lumped together. If I say you can eat carbs, I am referring to vegetables, some beans (Bush Beans preferred😁 ) and a little sweet potato now and then…carbs with NUTRIENTS and FIBER! The other carbs, which make up 90% of the grocery store you should almost never eat…again, no one is perfect. Bread, pasta, cereal, milk, JUICE, boxed lunches and dinners, ANYTHING that says “Fat Free”, etc… Did you know a bag of sugar is fat free? The most important thing is to control your glucose and insulin levels….we don’t want the spikes you get from processed carbs which just lead to overeating and hunger pangs. HERE is a link that shows both the glucose and insulin index…feel free to google those last terms for more info. Remember that your body has two ways to fuel itself…consuming food or from stored body fat. Carbs are easy fuel and your body gets used to it. Stored fat is for survival but a little harder for your body to access…especially if it is expecting another shipment of Cheesy Poofs…we need our bodies to FEED ON FAT!! To bring this ramble back around full circle to my starting point. The more body fat a person has, typically shows a greater inability to deal with carbs…processed and starchy. If we are trying to lose fat, we want to control our glucose and insulin levels and let our bodies become “fat adapted”….which means that we want our bodies to run on our stored body fat. Here are a few things we need for that. Center meals around healthy proteins and fats. Salmon, grass fed beef, organic eggs, nuts and seeds…all of these are great sources of protein and fat. Both will make you feel more full for longer. Add vegetables to your meals and snacks. These will also help to keep you full by adding fiber and nutrients that your body craves. Those aren’t sugar cravings…those are nutrient cravings, your brain is tricking you! The biggest thing…don’t allow spikes in your glucose or insulin (simple carbs). Find a plan to eat mostly the same things for a couple weeks…if you are not seeing results, it is easy to change a followed routine. STRENGTH TRAIN!!! Give the body something to repair and a reason to burn more fat! Here is my morning…most days I workout at 5a or 6a. Drink a glass of water when I wake up. Make a Frozen Mixed Berry Smoothie for on the way to the gym…this is at least 45-60 minutes before my workout. Drink BCAA’s, creatine during workout. 4-5 eggs for breakfast, coffee with 1 tbsp MCT oil and 1 scoop ASCENT Cappuccino protein . Mixed nuts late morning…my thinking is clear all morning with no “cravings”. Lunch is eggs, fish, chicken, etc…usually a veggie, sometimes sweet potatoes if I am looking to get in more calories. Afternoon snacks and dinner look the same, centered around protein, small amount of fat and lots of veggies. I keep bell peppers and cucumbers around for snacks, or a veggie pack (carrots, broccoli, cauliflower) to dip in hummus. I know that was a long ramble but the more we understand WHAT food does for our bodies, the better.